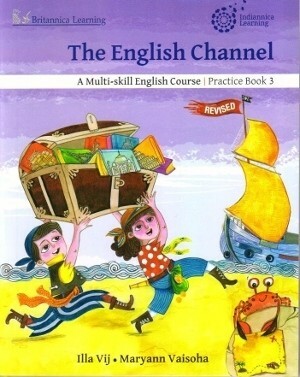 The revised edition of the English Channel is a comprehensive, multi-skill course designed to achieve holistic language development. It implements the recommendations of National Curriculum framework (NCF) 2005 along with the CBSE thematic content layout. Cash on Delivery is not available in your area! Delivery of products may take 3 to 7 working days. The reading comprehension section provides stimulating input in terms of reading skills and develops comprehension skills through properly graded and varied question types. The listening, speaking and writing sections include activities aiming at clear and practical learning outcomes to make these skills relevant to the learner’s daily interactions. The vocabulary and grammar sections hone the communication skills by providing lexical support and the scaffolding for using the language correctly. HOTS and LIFE SKILLS encourage learners to synthesize, evaluate, and analyse information and allow for introspection.